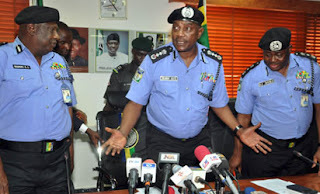 The Inspector-General of Police, Mr. Solomon Arase, has ordered senior officers in the South-East and the South-South geopolitical zones to immediately disarm members of the Indigenous People of Biafra. The IG said this in a statement by the Force Public Relations Officer, Olabisi Kolawole, while reacting to the killing of policemen by some pro-Biafran activists on Monday. Arase, who condemned the killing by members of IPOB, ordered the arrest and trial of members of the group found in possession of firearm. The IGP also said IPOB activists arrested in connection with the killing of the policemen should be charged to court for murder. He assured Nigerians that the Police would continue to diligently to maintain law and order and ensure their safety.